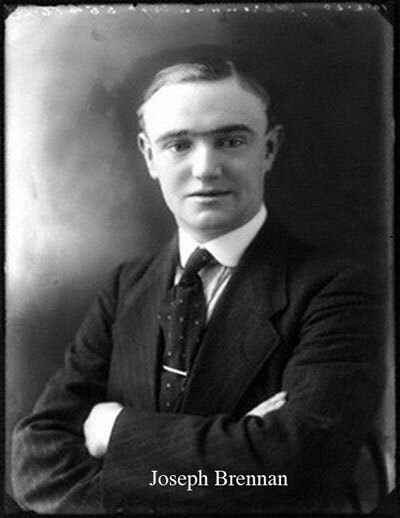 Joseph Brennan (1887–1963) was a senior Irish civil servant born in Bandon, County Cork, Ireland on 18 November, 1887. In 1909 he entered Christ Church, Cambridge where he studied mathematics and then switched to classics. In successive years he obtained a first in Latin and Greek. In 1911 he entered the Civil Service and was assigned to the Board of Customs and Excise and a year later transferred to the finance division of the Chief Secretary’s office in Dublin Castle. During the July 1921 Truce he was introduced to Michael Collins and later became a financial advisor to the team negotiating the Anglo-Irish Treaty. 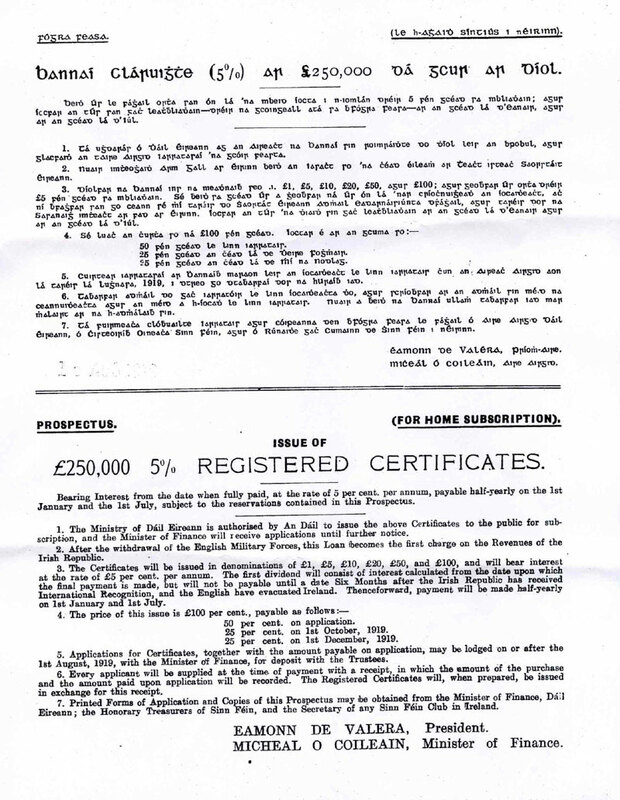 In April, 1922 he became the Irish Free State’s first Comptroller and Auditor – General and in April of the following year he was appointed Secretary of the Department of Finance, a post he held until his retirement from the Civil Service in 1927. Later that year he was appointed Chairman of the Currency Commission. When the Currency Commission was dissolved in 1942 he became the first Governor of the Central Bank of Ireland. From 1928 until his retirement in 1953 his signature appeared on all Irish Banknotes. 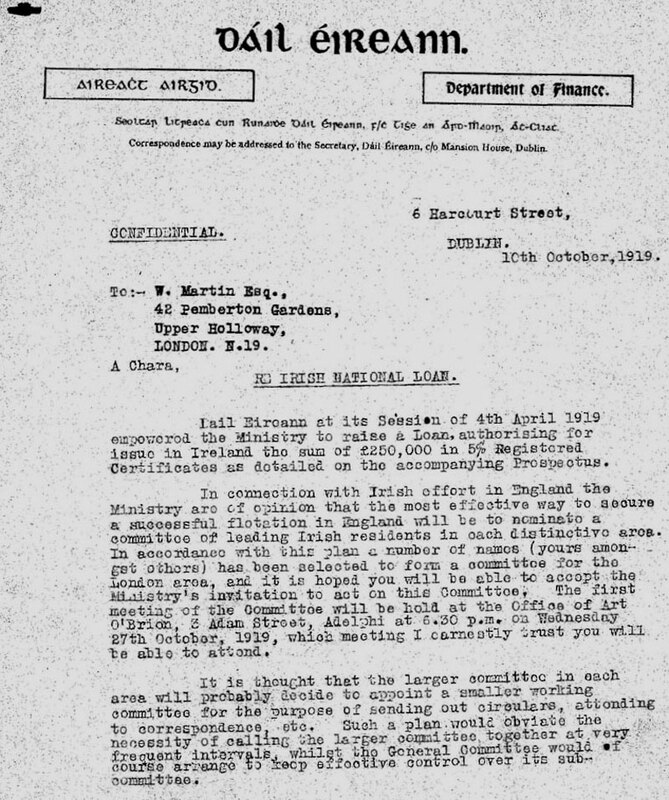 In 1938 Joseph Brennan was conferred with an Honorary LLD by the National University of Ireland. He died in 1963. 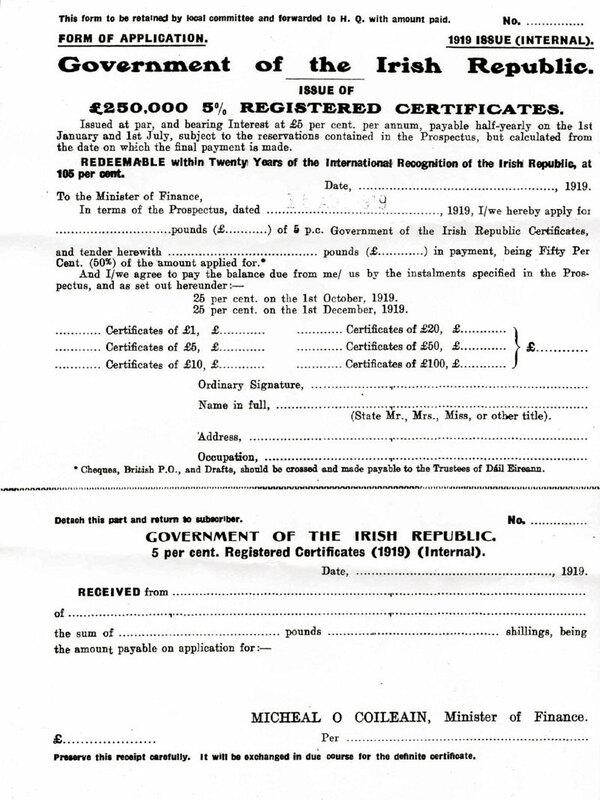 James J. MacElligott (1893-1974), civil-servant; was born in Tralee, Co. Kerry on 26 July 1893. He attended Father Buckley’s school in Tralee, and went on to graduate with a honours BA degree in classics from UCD in 1913. In entered the civil service in 1913 as a first division clerk and was assigned to the Local Government Board. 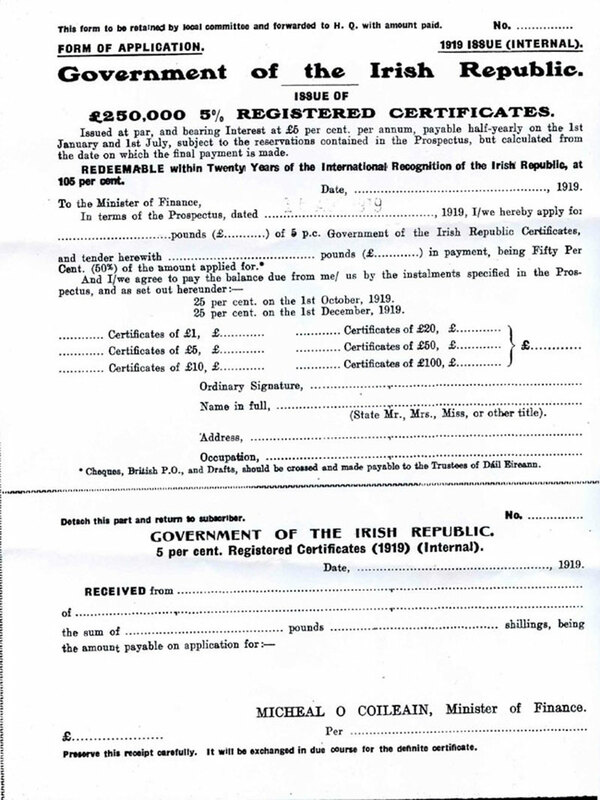 He joined the Irish Volunteers in the same year, and in 1916, he joined the Easter Rising as private. He fought in the General Post Office and was jailed for his part in the insurrection. Consequently he lost his job in the civil service. Upon his release from Stafford Jail in England (According to Tim Pat Coogan he occupied a cell next to Michael Collins while in Stafford, ref. 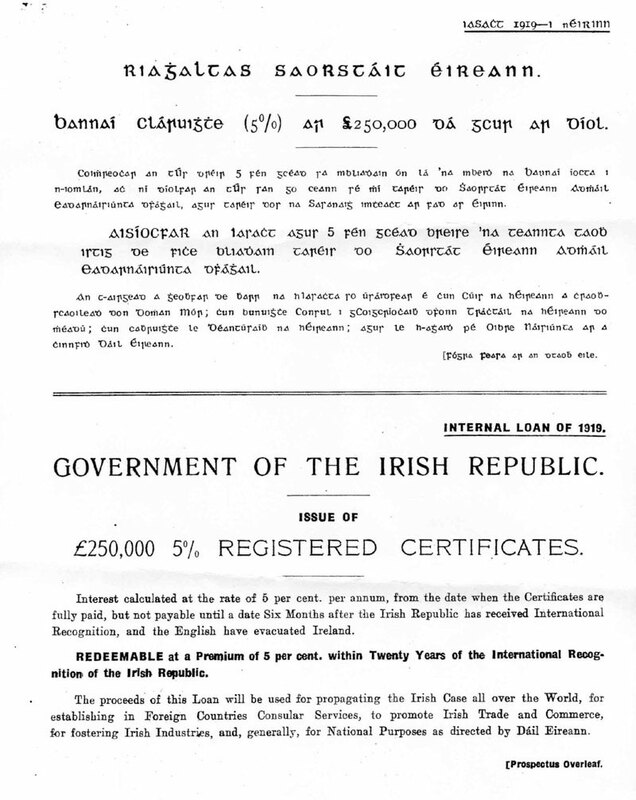 Michael Collins) he completed a postgraduate degree in economics at UCD and took up financial journalism. In March 1919 he was employed by a respected British journal the Statist. McElligott was a natural choice when the new Department of Finance was being organised. He had gained much experience whilst at the Statist and in 1920 had written his MA thesis on ‘Manufacturing Industries in Ireland in the Period 1760 to 1820’. It was no surprise when McElligott was appointed Assistant Secretary of the Department of Finance. After Brennan left the Department in 1927 to work for the Currency Commission, the burden of negotiating the government’s case fell on McElligott who was promoted to Secretary and remained in this office until 1953. The 1952 budget was McElligott’s last as the Secretary of Department of Finance. His long term as Secretary of Finance ended in 1953 when he was succeeded by Owen Redmond, followed shortly by Kenneth Whitaker in 1956. 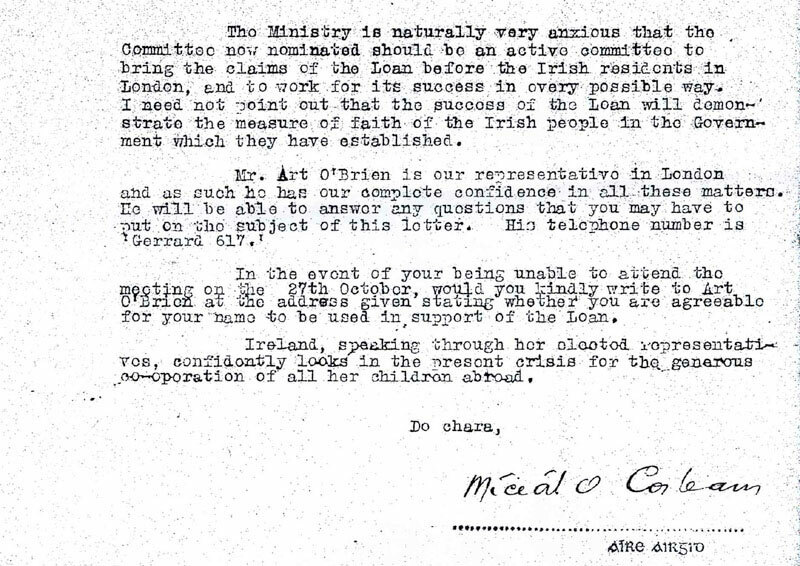 McElligott was a product of the civil service and was described by Whitaker as ‘possessing the wisdom of a serpent and the mildness of a dove’. His cautiousness and manner were highly irritating to others. 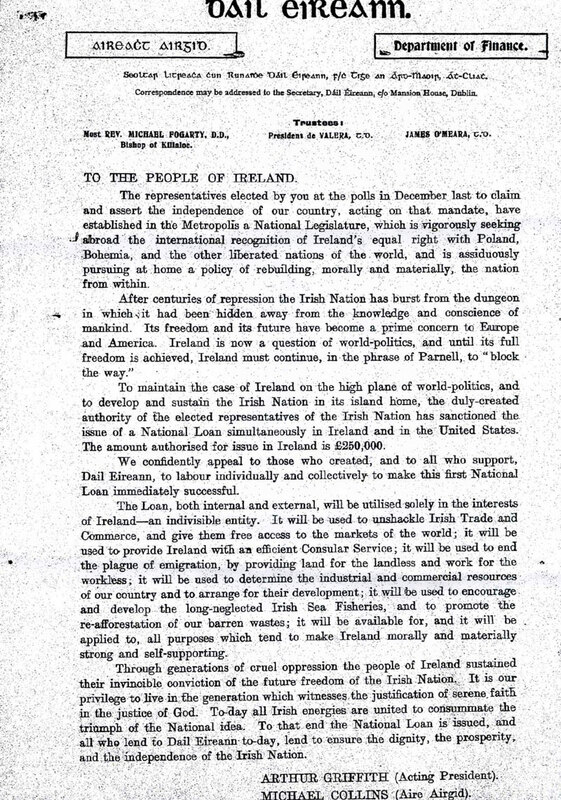 When Fianna Fáil came to power in 1932, McElligott and other laissez-faire fanatics found themselves defending their views and ceding ground to the promoters of Interventionist policies. McElligott, however, retained his belief that government should spend as little as possible, keep taxation low and rely on the unhampered flow of the market to ensure maximum profits for farmers and businessmen. Joseph Brennan resigned as Governor of the Central Bank in 1953 as his relationship with the government was deteriorating. The knock-on effect of this was significant. McElligott replaced Brennan and the important administrative position McElligott occupied for twenty-six years was vacant. 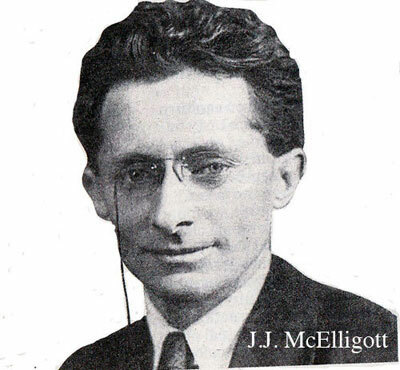 There is no question about the powerful position McElligott held in Irish economic circles from 1927 to 1953. Not only did he command a powerful position but he also had the respect and support of most officials in the Department of Finance and the banking community. He arguably emerges in a better light when set against the growth of public spending and debt that followed his departure. He was a member of all the important economic and financial commissions of his time, including the Tariff Commission (chairman) and the commissions on Banking of 1926 and 1934-8. He was President of the Institute of Bankers 1956 and first president of the Economic Research Institute (now ESRI). McElligott received an LL D [Doctor of Laws] from the National University of Ireland (NUI) in 1946. He retired from the governorship of the Central Bank in 1960 but continued to serve as a director. McElligott died suddenly at his home, Oak Lodge, Blackrock, Co. Dublin, on 23 January, 1974. He was buried at dean’s Grange cemetery, Co. Dublin, on 26 January, having served his country for more than sixty years.